Spend Less, Have More Fun With Your Children! My children love making - and eating - this carrot cake. You don't need many ingredients to make it. It's healthier than other cakes because it contains carrots and isn't loaded with sugar. If your children don't like vegetables, eating carrot cake is a good way for them to increase their intake of vegetables without complaining! If you wanted to make the cake healthier, you could make it without the frosting. 2. Stir in the sugar and grated carrots. Mix well. 3. Beat the eggs in separate bowl. 4. Add the beaten eggs, oil, honey and orange juice to the flour, sugar and carrot mixture. 5. Beat well with a wooden spoon. 6. Grease and line a loaf tin. 7. Spoon the mixture into the loaf tin with greaseproof baking paper. 8. Bake for about one hour at 350 F, 180 C or gas mark 4. Check about 5 or 10 minutes before as it takes about 55 minutes to bake in my oven. 9. Put a cake tester, skewer or knife through the middle of the cake to test if it's baked. If comes out clean, it's ready. If there's mixture on the skewer, put it back in the oven for a few minutes. 10. Leave to cool in the tin for 5-10 minutes and then put on a cooling rack. 11. When the cake is cool, you can add the frosting. 12. Make the frosting by putting the cream cheese in a bowl and stirring in the icing sugar, a little at a time. Add the vanilla essence and mix well. 13. Spread the frosting over the top of the cake and store in the refrigerator. 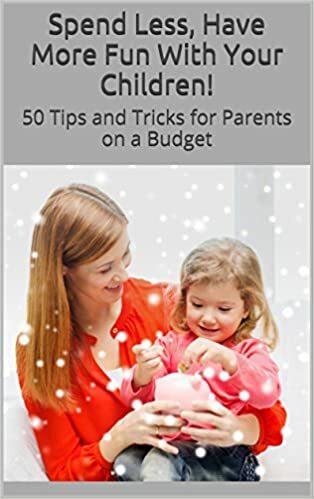 The Spend Less, Have More Fun With Your Children eBook Is Now Available on Amazon!